Rooftops are all over city-life. They aren’t a rarity, you’ve probably been on more than you can count, and impressing you with one takes a lot. 5333 Connecticut is up for the challenge. Virtually step out onto ours with us as you picture what it is like to be on our roof. Take in the infinity spillway pool that glistens in the Chevy Chase, D.C. sunlight. It’s calling for you to take a dip in it before winter is upon us. Watch as the dogs (and their owners) take laps around the dog walking area made with our furry friends in mind. Appreciate the green spaces in the urban setting as planters dot the terrace. Feel the warmth of the stone top fire table as it flickers its warm light, welcoming visitors late into the season. Smell the food being grilled on the built-in grill with stainless steel cabinets and stone countertop. You can’t deny the power of a perfectly cooked burger. How do you feel about rooftops now? 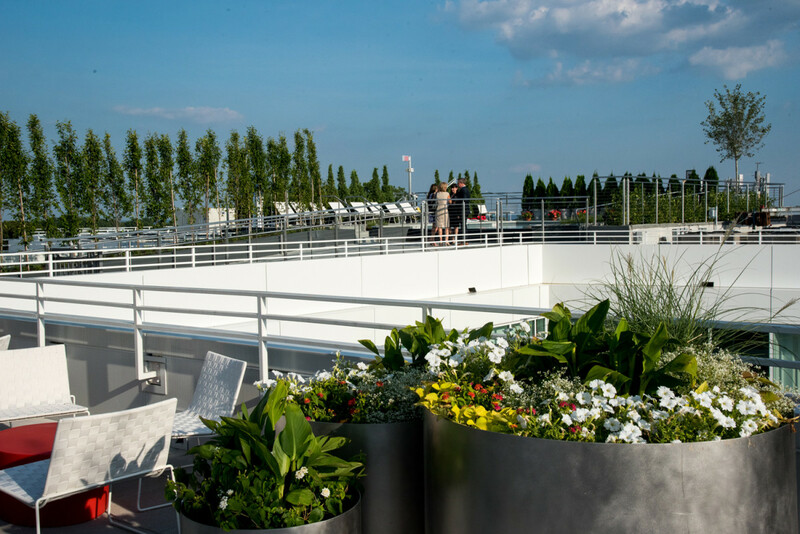 Come see ours in-person at 5333 Connecticut and get the timeless, modern, classic rooftop living experience you won’t forget.